 print a copy for future reference. 1.3 When you use certain SLIDE-RULER services (On site measuring and fitting) please read the additional information provided with regards to such services as this information will provide you with full details on how to use such services. 6.2 You acknowledge and agree that the material and content contained within this website is made available for your personal, non-commercial use only and that you may only download such material and content for the purpose of using this website. You further acknowledge that any other use of the material and content of this website is strictly prohibited and you agree not to (and agree not to assist or facilitate any third party to) copy, reproduce, transmit, publish, display, distribute, commercially exploit or create derivative works of such material and content. 7.2 Subject to Section 7.1 above, SLIDE-RULER will use reasonable endeavours to verify the accuracy of any information on the site but makes no representation or warranty of any kind express or implied statutory or otherwise regarding the contents or availability of the site or that it will be timely or error-free, that defects will be corrected, or that the site or the server that makes it available are free of viruses or bugs or represents the full functionality, accuracy, reliability of the website SLIDE-RULER will not be responsible or liable to you for any loss of content or material uploaded or transmitted through the website and SLIDE-RULER accepts no liability of any kind for any loss or damage from action taken or taken in reliance on material or information contained on the site. 7.5 Notwithstanding the above, subject to Section 7.1 SLIDE-RULER aggregate liability (whether in contract, tort or otherwise) for loss or damage shall in any event be limited to a sum equal to the amount paid or payable by you for the product(s) in respect of one incident or series of incidents attributable to the same clause. 8.3 The company that we, SLIDE-RULER, use for card transactions will processes all debit, credit and charge card payments for customers and, will retain a handling fee of 2 ½ % of the transaction value where a card is used to purchase goods or services. The remaining amount will be paid to SLIDE-RULER for the goods and services supplied. The total amount payable by all customers regardless of the means of payment will be the same. 8.4 SLIDE-RULER shall be under no liability for any delay or failure to deliver products or otherwise perform any obligation as specified in these terms and conditions if the same is wholly or partly caused, whether directly or indirectly, by circumstances beyond its reasonable control. 8.5 To provide increased value to our customers, we may provide links to other websites or resources for you to access at your sole discretion. You acknowledge and agree that, as you have chosen to enter the linked website we are not responsible for the availability of such external sites or resources, and do not review or endorse and are not responsible or liable, directly or indirectly, for (i) the privacy practices of such websites, (ii) the content of such websites, including (without limitation) any advertising, content, products, goods or other materials or services on or available from such websites or resources or (iii) the use to which others make of these websites or resources, nor for any damage, loss or offence caused or alleged to be caused by, or in connection with, the use of or reliance on any such advertising, content, products, goods or other materials or services available on such external websites or resources. 8.7 SLIDE-RULER reserves the right to transfer, assign, novate or sub-contract the benefit of the whole or part of any of its rights or obligations under these terms and conditions or any related contract to any third party. 8.10 No delay or failure by SLIDE-RULER to exercise any powers, rights or remedies under these terms and conditions will operate as a waiver of them nor will any single or partial exercise of any such powers, rights or remedies preclude any other or further exercise of them. Any waiver to be effective must be in writing and signed by an authorised representative of SLIDE-RULER. All photographs and illustrations are for guidance only. We reserve the right to make minor alterations without notification. * as well as information that is publicly available. If you have any questions regarding the SLIDE-RULER LTD website please see the Customer Services section for more information and full contact details. 2.2 The 'confirmation' stage sets out the final details of your order. Following this, we will send to you an order acknowledgement email detailing the products you have ordered. Please note that this email is not an order confirmation or order acceptance from SLIDE-RULER. 2.4 We do not file details of your order for you to subsequently access direct on this website, therefore, please print out these terms and conditions and the order acknowledgement for your own records. If you wish to obtain specific details of your previous orders please Contact Us. 4.1 We take payment from your card at the time we receive your order, when we have checked your card details and stock availability. Goods are subject to availability. In the event that we are unable to supply the goods, we will inform you of this as soon as possible. A full refund will be given where you have already paid for the goods. A) Whilst we try and ensure that all prices on our website are accurate, errors may occur. If we discover an error in the price of goods you have ordered we will inform you as soon as possible and give you the option of reconfirming your order at the correct price or cancelling it. If we are unable to contact you we will treat the order as cancelled. If you cancel and you have already paid for the goods, you will receive a full refund when it is the result of a price change. 4.5 All prices include VAT (where applicable) at the applicable current rates but exclude delivery charges, unless expressly stated otherwise (see Home Delivery Information for further details including Special delivery charges). 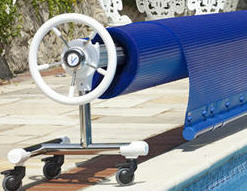 4.6 Due to the type of materials used the manufacturing tollerances are +/- 2% for pool covers. We aim to make them as accurate as possible.However materials used will be subject to change from moisture and sunlight. 3.1 This website is only for delivery of products to customers in mainland UK and Northern Ireland addresses. While we can deliver to the Channel Islands, Isle of Man, Orkney, Shetland and Scottish Islands, Republic of Ireland,or other countries this will incur an extra cost please enquire. All goods must be signed for by an adult aged 18 years or over on delivery. 3.2 Delivery charges and estimated timescales are specified in the Home Delivery Information section and also when you place an order. We make every effort to deliver goods within the estimated timescales, however delays are occasionally inevitable due to unforeseen factors. SLIDE-RULER shall be under no liability for any delay or failure to deliver the products within estimated timescales. 3.3 Risk of loss and damage to products passes to you on the date AND TIME when the products are delivered or on the date of first attempted delivery by us. FREE delivery on all orders over £150! Your order can be delivered to any address - your home, workplace or a neighbour's, whichever is most convenient for you - just let us know when ordering. Deliveries are made between 8am and 6pm, Monday to Friday (excluding Bank Holidays) and we will need a signature when the delivery is made. For orders placed on Saturday or Sunday, the earliest delivery day would be Tuesday. Next Day delivery is available for most delivery addresses (excluding Northern Ireland) on orders placed before 1pm. Please note that the additional charge also applies to orders over £150. Saturday delivery is available for most delivery addresses (excluding Northern Ireland) and deliveries are made between 8am and 4pm. Please note that the additional charge also applies to orders over £150. Large and bulky items will be delivered to the address of your choice, usually within 21 days. If delivery is currently longer than 21 days, this will be shown when you add the item to your trolley. Deliveries are made Monday to Friday (excluding Bank Holidays), morning (7.30am  1.00pm) or afternoon (12 noon  6.00pm). A customer services agent will contact you to arrange a suitable delivery date. We know that unexpected things happen and there might be an instance when you cant be there to receive your delivery. If so, dont worry. Just call us at least 3 days before the agreed delivery date and well arrange another convenient date with you.  Most goods are despatched to you from regional distribution centres and some bulky items are despatched directly from our suppliers. The delivery times quoted are dependent on whether stock is available. If your order is made up of a combination of the above items / delivery services, then deliveries will be made separately.  Orders placed on this website can only be delivered to mainland UK and Northern Ireland addresses, Shetland and Scottish Islands, BFPO addresses, or the Republic of Ireland. For these areas, please make enquiries.  We'll deliver any large and bulky item to any address, provided drivers do not feel there are any health and safety issues such as a narrow or difficult access or there is a danger of damage to the customer's property. a. The Company will make good, by repair or at the Company's option, by the supply of replacements, defects which, under proper use, appear in the goods within 12 months of delivery and which arise solely from faulty design (other than a design made, furnished or specified by the Purchaser for which we have disclaimed responsibility in writing) materials or workmanship provided the goods concerned have been stored and used in a proper manner and have been returned to our stores carriage paid and adequately packed. b. Save as aforesaid and as provided in Clauses 5 and 6 the Company shall not be under any liability in respect of defects in goods delivered or for any injury, damage or loss whatsoever resulting directly or indirectly from such defects or from any work done in connection there with and its liability under this clause, shall be in lieu and to the exclusion of liability under all warranties and conditions whether express implied or statutory and whether written or verbal. c. Goods returned as defective but found on inspection to be in good order will be returned to the Purchaser and subject to a handling charge. d. Units out of guarantee or those used outside an approved manner will normally be scrapped unless the Company has had specific disposal instructions. e. Where a specific test report is required, this must be requested in writing prior to the goods being returned. 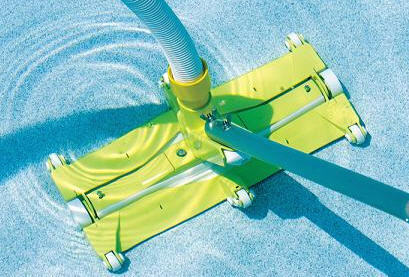 Product installation services already commenced and made to measure products are excluded. In addition, all SLIDE-RULER products are guaranteed against manufacturing defects for a minimum of 12 months. Your statutory rights are unaffected. To cancel, you can email us or write to us (see contact us for details) within seven days of delivery of your item(s), quoting your order number. You must take reasonable care of the item(s) and must not use them. Goods to be returned are sent at your cost. 5.1 In the unlikely event that you receive faulty or damaged goods, please refer to our Returns and Refunds section. 5.3 All sizes and measurements are approximate but we do try to make sure that they are as accurate as possible. Due to the nature of the materials used the tolerance levels are variable. 5.4 Stock items ordered by mistake can be returned by prior consent and may incur a restocking charge. Items must be unsed and in origional packing.